15 years of gentrification in Portland Ore. Priced Out is an investigative and personal look at housing discrimination and the pain of losing a community to gentrification. The film explores the complexities and contradictions of gentrification and life after the era of “the ghetto.” The documentary powerfully illustrates how government policies and market forces combine to destroy and rebuild neighborhoods. Some embrace new investment at first, but few are left standing when new money moves in and old residents find themselves priced out. Check out our friends working on Priced Out: The Animated Series. In the late 1990s, Portland's Albina Community was home to the state's only black community. Though one plagued by drug dealers, boarded-up storefronts and abandoned homes, Albina was a cohesive black neighborhood surrounded by the nation's whitest city. A decade later, Albina had become one of the trendiest places in the country to live. Seemingly overnight, the area had transformed from a black majority to white majority community. Residents who fought crime and drugs wondered why they were treated like unwanted outsiders from the area's new white residents. By 2015, Governing magazine ranked Portland as the Most Gentrified City in America. As gentrification grew beyond Albina's borders, all of Portland plunged into a housing crisis that sent thousands of residents into the streets—some without a place to live and others to protest the state's weak tenant laws. Sign up and we'll let you know about upcoming public screenings, broadcasts and online streaming options. Nikki is a homeowner. As we return to Nikki in Priced Out, we find her torn between grieving for the loss of her community and seeing the opportunity to sell her home and achieve economic freedom for the first time in her life. 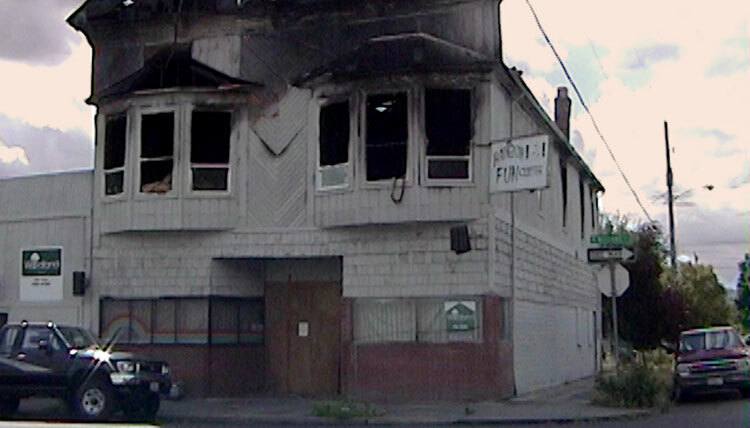 In 2002, NorthEast Passage chronicled a neighborhood that embraced gentrification and fought off affordable housing. Over a decade later, the sequel, Priced Out, offers a complex view of gentrification rarely seen in conventional news coverage. Gentrification, once a phenomenon that occurred only in big cities like New York, is now sweeping through cities across the country from Tacoma to Toronto, Minneapolis to Memphis. Over the last decade, urban neighborhoods once shunned by the wealthy and middle-class suburbanites have transformed into some of the most desirable places in the country. But these new investments are just the latest chapter in a long history of institutional discrimination that has sought to isolate and exclude minorities. Communities once devastated by redlining, urban renewal, and drugs are now being crushed by market forces as big business moves in and longtime residents get priced out.